A few days ago, I felt I was succumbed to the temptation of using Instagram, which I have been trying to stay away from. The temptation was the result of thinking whether it is a good idea to upload some of my photographs there. I don't know why, perhaps, publicity was the spur. I opened an account, but for some reasons, I could not upload landscape photos to Instagram. I posted some photos of myself and tried different colors and features. I spent nearly two hours playing with a couple of photos. Then, suddenly, I thought, if I had spent that much time, I could have edited several photos on Photoshop and uploaded them to my website, or I could have read a few articles. Time was not the only thing that I was worried about, it was something else: the ego. I did not download the Instagram app, but instead, I used the website through a backchannel. Even though everything looked basic, my photos looked fancy after I manipulated the light and color values. I could have stopped it, but the features and tools dictated me to do more. Therefore, I spent more time trying every available features. Then, the following day, when I opened my account, I looked at my photos again. They looked great, except no one followed me. I thought, that is because I declined to share my contacts, or letting my friends know that I have created an account on Instagram. I again started working on my pictures. As I kept using different colors and tools to shape my portraits as best as I could, I felt drawn into the idea that I could possibly make myself look great and attractive. What a weird and unrealistic thing to do, I thought. But for some reasons, I could not satisfy myself, I wanted my photos look really good. I never experienced such an urge before to spend this much time on my own portraits. It seemed ridiculous and I felt defenseless to the temptation and persuasion of tools that were offered to me. It was then that I thought of the harmful impact of social media, such as Instagram, on the brain and behavior. I was offered a space, a strange yet familiar in which I felt I am not good enough. Two things happened at the same. The tools on Instagram asked me to boost my ego by changing hues and make saturation adjustment on my face, but at the same time, it took away my self-esteem from me. I felt insecure, but it offered me a panacea that I can indulge myself in egotistical projection of me and my personhood. It was not the tools and features per se, but a range of other factors that were enticing. It opened a window to me, which listed some famous people and some were even familiar ones, and it asked me to follow them. Additionally, it ask me to share my contacts with the system. Then, it wanted me to send an invitation to my contacts and ask them to follow me on Instagram. I had a moment where I thought to myself, "What a bizarre thing that could be." I thought, I would become entangled in the web of self-doubt, insecurity, and perhaps, mental depletion. Finally, today, I deleted my account on Instagram. It felt great. I patted myself on the back for I lost nothing. I felt I have protected myself from the invasiveness of Instagram, specially its e-mails and pushier notifications. I am considering staying away from social media like Facebook and Twitter, in general. So, I may delete or deactivate them in the year of 2019. I feel terribly sad. I lost my Amazon Kindle Paperwhite on Megabus. I bought it, in 2013, as a college graduation gift for myself. There were nearly 100 classic books that I have purchased over the years. I wrote lots of notes and made lots of highlights, especially on War and Peace, The Brothers Karamazov, The Idiot, and Don Quixote. These books were my favorite ones, and honestly, they changed life in some way. I remember, when I decided to read War and Peace, I read dozens of reviews on who has rendered the best translation in English language; and I literally read every introduction of each translation that is made so far, and even compared certain paragraphs and sentences of the books. It took me four weeks to finish War and Peace. I devoured it. I was hoping to go back and read this and other books again and see my notes and highlights. Alas, hope has limitations. The last book I was reading was The Heart of Darkness, a story about imperial horror in Congo in the late 19th century. I was halfway through it and gradually realizing how Joseph Conrad is challenging the reader by constructing ethical dilemmas on good and evil. I also had several books on Afghanistan and the Middle East. One of them was The Great Game, which I recommend to anyone who is interested in Afghanistan's issues. I know how I lost my Kindle. I was distracted by someone. Anyway, my Kindle is gone and I'm not happy about my sloppiness. I contacted Amazon and reported it as lost. It is deregistered and locked, which means it is an unusable device for whoever has taken it. If you read this post, and found my kindle, please return it to me and you will get a gratuity. Today is a special day; Jesus, a peaceful and humble king, was born and it is a perfect time for reflection. Therefore, I use this opportunity to send my love and appreciation to my family and friends, and to my readers on this blog. There have been times where I sat down and ask myself, how did you get here. With all bitter experiences and with all obstacles and challenges that I have been through, I should be miserable, depressed and a failed person, but I am not. I feel, I'm the happiest person on earth, and that is because I believe the people that I have come in contact with throughout my life molded me like a piece of clay in their pottery of love and friendship. Before, I was dust, unrefined and an immature person, but their love and care gave me hope and ambition to follow my dreams. Today, I feel, without their support and love, I could dissolve into dust and particles that I had been. I am truly grateful to my family and friends for their continued support. I couldn't make this far without their guidance and help. They have become indispensable to my life and I can't imagine a moment without them and their love. I have learned that true love never dies, but grows stronger. Merry Christmas to you all and I hope you're having a great one and a happy new year! I have never participated in or celebrated Shab-e Yalda, but every year, when I go to Philly, my American family and I go to winter solstice concert. Shab-e Yalda is the same as winter solstice, the longest and darkest night of the year. The concept of Shab-e Yalda has been alien to me even though I grew up in Afghanistan, which we used to call it Shab-e Chellah. Nothing was especial about it, as far as I remember, but it has been growing on me. This year, I wanted to celebrate it, but it didn't happened. Instead, I went to American Shab-e Yalda, where traditional music drawn hundreds of people together. I truly enjoyed it. It was a celebration of nature with chorus, soloists, jazz instrumentalists in harmony with world rhythms and the beautiful sounds of Alaskan timber wolf and the humpback whale. It was more meaningful I thought than what I have heard about Afghan Shab-e Yalda. In Afghan tradition, Shab-e Yalda is inundated with eating big meal and then gathering around reading poetry, divination with Diwn-e Hafez and palm reading - common superstitions. Where we celebrated the the winter solstice, it was more about love of our planet earth and the sun. Attention was paid more on our planet and appreciation was made to the nature, nothing sounded egotistic. "The dark night is ending, down has begun. All speech flows to music, All hearts beat as one. The dark night is ending, and dawn has begun." A couple of years ago, I wrote a blog post about an open letter that was written by Pashtun intellectuals. A couple of the writers are currently working for Ashraf Ghani administration as advisors and heads of critical government apparatus. The letter was composed in 2010 and was sent to President Obama and many major news outlets in the United States. Then, a few days ago I wrote a blog post on the discriminatory policy of 25% university admissions quota by Afghan Ministry of Higher Education. After several years, today, I happened to see that letter again which I received from a reader and posted on blogpost. Later on, I heard from a retired US diplomat who happened to receive it through email listserv from the State Department. You can get a sense of Pashton paranoia as well as what is happening right now in Kabul; and why Pashtuns around Ashraf Ghani are pushing other minorities aside and creating quota for university admissions. Please share it with your friends who care about Afghanistan's current affairs. Note: I blogged about the letter in Farsi. Since I have deleted my Farsi blog, the post longer exists. One of vital achievements of Afghanistan in post-Taliban era is higher education, but it is in jeopardy now. Recently, Afghanistan’s Ministry of Higher Education has decided to mandate a quota system for students entering into universities based on their ethnic and regional background. Based on the current quota policy, 25% of university admissions seats in the fields of medicine, engineering, law, economics, Agriculture, and Computer Science will be given to students from the so-called undeveloped areas. What this means is that students with higher score from populated areas will have lesser chance getting into university; instead, students with lowest score will have reserved seats in universities across the country. This is a dangerous scheme and can hurt Afghanistan badly. The hidden agenda is basically to limit the number of students from minority groups from higher education, especially the Hazara students who are in vulnerable position. They come from the poorest areas and they solely rely on public universities which offer free education and scant stipends. Quota is designed to tackle higher educational disparities, according to Afghan higher education officials. Pashtun areas, mostly southern Afghanistan, have not been safe and students have not been able to go to school or getting better education. On the other hand, students from minority groups in relatively secure areas have been on the rise. This obviously made the current Afghan administration worry about young Pashtuns who stay behind. Their concern is understandable, but quota system is not the answer. Those who composed the quota scheme are obviously disregarding the fact that students with weak learning foundation have a higher chance of drop-out of universities in Afghanistan. This is a known fact and is currently a major issue at Kabul University. Every year, there are hundreds of students who deliberately misuse the Konkour system by using imposters to gain admissions. In the past, oftentimes, officials at schools and higher education centers where the exam was held sold questions to students. Afghanistan can do better. The United States and its allies have been a great supporter of education in Afghanistan and they should pressure Afghan government to abandon discriminatory plans, which will hurt young Afghans. Is Rejoicing over the Death of Extremists Okay? For the past few days, many young Afghans have been rejoicing over the the death of some religious scholars (ulama) who died in a powerful blast in a venue near Kabul international airport. The incident happened in a wedding hall where the celebration of Muhammad's birthday was staged. It is estimated that the blast killed 55 and injured around 100 individuals. I am not sure if these ulama were the same people who gathered a while ago in Kabul to mull over whether the suicide bombing is mentioned or justified in the Qur'an. I wrote a short blog post about it. These religious scholars see themselves as authorities of religious texts and traditions who can have ultimate monopoly over people's beliefs . So far it has never occurred to them to think if one day they might be the target of their extreme and fanatic thoughts as well. As the Biblical phrase goes, as you sow, so shall you reap. This is due to their way of thinking, which is close to that of the Taliban and ISIS. It seems that they couldn't get away from a karma that was dictated by their actions. Now, the question we need to ask ourselves is whether it is justifiable to rejoice on the death of these religious scholars who might have been wicked people. It is a difficult question which puts us in an ethical dilemma with our core values. I personally don't see these people useful but that doesn't mean they deserve death. They might not be very useful, but it is unfair to assume their presence in the society baleful. They are not physicians to prevent and cure disease, they are not engineers to build roads and buildings; they are rather experts in one thing: how to contaminate the minds of people through Islamic teachings. But still that is neither convincing nor reasonable for us to conclude that it is fine to celebrate the death of a wicked. One thing we can do instead of celebrating their death is to reflect on their actions and responsibilities. For the past 17 years, every time a suicide attack ripped through a crowd of civilians, killing dozens and leaving hundreds wounded, these religious scholars failed to condemn the attacks. Their silence would meant they are tacitly approving the suicide attacks. Until now, they have been spectators, they may have not felt the pain and suffering of others, but now they should. Though this does not mean we should be happy over their death despite their evil-mindedness. Wishing their demise or rejoicing over their death itself indicates a malevolent nature. Ultimately it shows our weakness and our willingness to submit to bigotry and hatred, which is nothing different from what fanatic Islamists do. But there is a better a way to defeat them and that's not through lowering ourselves to their standard. We can defeat these evil-minded and religious bigots by reasoning and challenging their stone age beliefs and by teaching them modern values. The guy writes in his will that after his death his body should be taken back to his homeland and be buried at so-and-so graveyard next to so-and-so whom he loved so much. Assuming that someone would pay for the cost of his body to be transported to his homeland, he leaves a huge burden on his family, friends, and relatives. This is the most ridiculous thing that one could do in the modern world. If you would love to be buried in your homeland, then why did't you go there and die there. It can cost thousands of dollars to transport a dead body from North America to Kabul. There is no honor in death, and life itself is inevitably absurd. There is no metaphysical pride for it either. The greatest weakness is to imagine a relationship with a mythical creature and a mysterious world, which could be anything depends on dogmatic thinking. This man, whom I know, suffered throughout his life, he was a historian, a writer, and spent most of his life in refugee camps in Pakistan, Iran, and he was recently located in Canada. He was familiar with suffering and pain more than anyone else, but how could he not realize this burden on his family and friends? What else would you expect from Afghanistan President Ashraf Ghani to be besides the Taliban sympathizer? How can Trump and his administration trust the Afghan leader as a partner in fighting against terrorists in Afghanistan? These are hard questions to answer, but one thing is clear that the current Afghanistan president is an unwilling partner for fighting against terrorism. In a recent interview with Vice News, Ashraf Ghani openly expressed his sympathy for the Taliban. He said: "It is not just that my heart breaks for our security forces who are true heroes, but also for Taliban." The answer was to a question related to the Taliban's recent attacks on Ghazni city in southeastern region of Afghanistan, which resulted to the destruction of the city as well as high casualties among civilians and government security forces. It is not surprising that Ashraf Ghani openly speaks of his feelings about the terrorists who kill civilians every day, it is shocking when the US government and allies that have troops in Afghanistan do not react. Mistranslation can sometimes be catastrophic, but other time can be amusing. This store, which is in Gaithersburg, Maryland, has a funny and confusing banner. In caps, it says "Engine House Hobbies," but the second line says "A Releasing Your Creativity Application." What does it mean? It may need a professional translator to explain what the last line means. I am not sure if the owner is an English speaker. I speculated that it was translated from one of foreign languages. On August 10, Katherine and Joe who became dear friends to me this summer took me to the Montgomery Country Agricultural Fare. On our way to the fare, we were in the car when we passed by this store. Everyone of us read it's sign but no one got it. For a second, I doubted my intelligence, so I hesitantly asked Katherine and Joe if they understood the sign. They both said, they read it at least three times, but still confused. We laughed but confusingly, because we didn't understand what it means and start brainstorming some hypothetical meanings. Today, I went through some photos to delete from my phone when I saw this photo and I thought wait a minute, I have to blog about it . I just googled the place and founded it on Google map. You can also try locating the address on the map, but you don't have to. Here is a direct link to street view of the shop on google map. If you find the meaning behind this sign, please don't hesitate to share your findings at the comment section. This is not a joke! This is real. It happened a couple of weeks ago. Some highly qualified and top Afghan ulema (religious Muslim scholars), representing top Islamic seminaries like al-Azhar in Egypt, congregated in Kabul for several days to find out whether it is justifiable to declare suicide bombing haram (forbidden). After several days of arduous studies, miraculously, these ulama found out that God in his Qur'an does not mention anything about suicide. Therefore, still unsure, but they took courage to announce that though they wanted to see where the Qur'an adjudicates suicide bombing, unfortunately they could not find it. The news was published on several news websites including Deutsche Welle, also here. It is bewildering and to some degree it illustrates a comedy of stupidity of human nature. Who is to blame? It is unfathomable how Islam has mutated humans into one the most evil and cruel creatures imaginable on earth. I recently began to read Perry Gilmore’s book, Kisisi (Our Language): The Story of Colin and Sadiki. It is a kind of autoethnography as well as linguistic case study and a memoir. 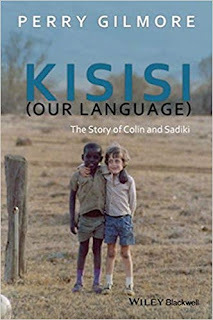 In the prologue she tells the story of his son Colin and his playmate Sadiki, a Samburu boy in Kenya and how their unique and prosperous relationship led them to create their own private language, which was called a Swahili pidgin. She says that her book is an ethnographic exploration of young children’s ability and creativity in creating a language of their own. In chapter three (I skipped the first two chapters, which I might return later) Gilmore discusses the role of play in her son Colin and Sadiki’s creative ways of communication. On page 37 she claims that the “play served as a space and a resource for the inventive verbal activities that generated their shared language." Gilmore goes into details how Colin and Sadiki created a lexicon for scatological artifacts, which to some degree influenced by sound play and onomatopoeia. She quotes Sutton-Smith who has suggested that play and fantasy are ground of generating new ideas that can even be used for later purposes. 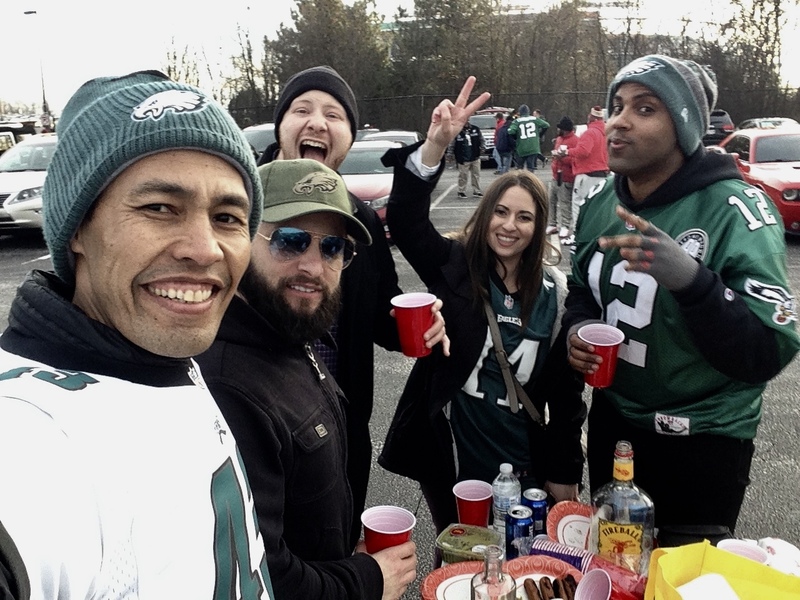 In the case of Colin and Sadiki, the entertainment aspect of their lives led them to linguistic invention in which the two could easily communicate. This is interesting, but I personally didn’t find this English-Swahili-based creole something impressive or unique in a way that the author illustrates. In fact, this kind of creole is pretty common in developing countries, especially in societies with material deprivation. Further, this could happen anywhere in the world where the average household consists of at least five or six people. In such environment, rivalry among siblings are common and this is where children becomes creative. In order to compete with their siblings – even with their parents – over resources and positions, they devise new languages for communication. I personally remember when I was very young, my brothers and I invented a language that was only apprehensible for us in the household. We were bitten a couple of times by older siblings and even by our parents for not talking the language that was spoken in the house. We were accused of speaking in the language of djinn and told us that the we would bring curse or spell hex on others. Inventing creole was not unique to us, it was actually pretty common among children in our my village. When we were forced to quit speaking our pidgin language, we came up with a new idea. In our clique we decided to speak our native language Hazaragi (a subdialect of Farsi) backward. We became so fluent that we did not see the need to switch back to normal, but when necessary. So, the quesiton is why children of third world countries are able to create languages of their own and children in the modern world, let’s say the Western world, are not able to be that creative? Well, the answer is very straightforward. As I mentioned earlier, the family size matters. We were eight siblings and had nothing to do at the house except fighting all the time, but never stayed inside. We left the house at the crack of dawn and returned when it was really dark. During the day no one needed us or came after us. We used to spent most of our time playing, climbing on trees, finding foods in the nature, sometimes even stealing fruits from trees of farmers. We were out with other children in the playgrounds, on the farm and in the mountains, we were experiencing our ultimate freedom. There was no adult watching us and telling us what to do and what not to do. We had nothing but to come up with something new and language was one of them. In order to be unique and keep our schemes secret, we invented language. No one was interested in our speech and when we grew up, we gave up once and for all. It is I personally still can speak my native language backward. I tried with my sister, she was surprised. Anyway, Gilmore’s book is interesting, especially for people who may think Colin and Sadiki’s case were unique. In fact, in the Western context, it is unique, particularly where children spent most of their time either with their parents or technological tools, and they are given very little time to spend with their peers. I might come back to this book later. Yesterday, a suicide bomber entered into a classroom of tow-hundred students in an education center and blew himself up. The attack happened in Dashte Barchi, a predominantly Hazara area in western of Kabul. As a result, 48 people were killed and more than 70 were injured. They were all students aging from ten to eighteen, and they were all from ethnic Hazara. This kind of attacks have been increasing against the Hazaras. The central government which is run by Ashraf Ghani, an ethnocentric leader, has done nothing to stop violence against the Hazaras, instead, he and his government have shown acceptance and enthusiasm for the Taliban and ISIS insurgents who commit the atrocities. Hazaras are left alone, and targets against them are even justified by the Afghan government. This BBC journalist tweet indicates that. An official of the Afghanistan's National Security Council has told him that Hazaras are Iranian spies. This is a dangerous machination to dehumanize the Hazaras and it makes them more vulnerable to systematic targets. Calling Hazaras spies of Iran is a sinister technique of othering and sub-humanization, which has been happening for the past decades. This is a clear green light to the Taliban and ISIS to target the Hazaras more than before. Such statement comes from an Afghan official who is sitting at the national security council, which is being chaired by Afghan President, Ashraf Ghani. Foreign media organizations have failed to report on the nuances of widespread attacks on innocent Hazaras. 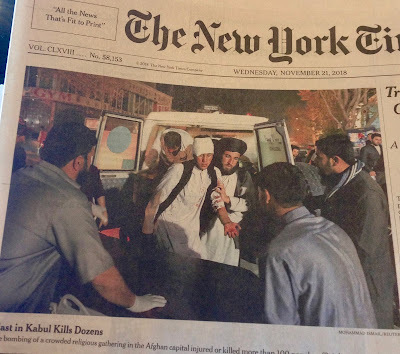 They have been simply framing them as attacks against the Afghan civilians, and sometimes highlighted their religious belief. They have not paying attention to ethnic lines as much as it requires. The Taliban and the ISIS targets are the Hazaras, because they are different, they speak Farsi, practice Shi'ism, and they look Asian. These are inherent guilts of a minority called Hazaras whose ancestors have been Buddhists and Shamanists. A couple of days ago, I was listening to NPR while making my breakfast. There was an interview with two American veterans in Afghanistan Keith Alaniz and Emily Miller talking about their efforts to import Saffron from Afghanistan and sell it in the United States. (Check out the their interview here). I wrote a note for myself to write something about it and today, as I was cleaning the closet, I saw the note. This is actually for the first time an Afghan product is going to be available nationwide in the United States. Saffron is the most coveted and the most costly spice in the world For the past decade an a half, this "red gold" spice has been given an incentive for Afghan farmers to grow as an alternative to opium poppies, which is a source of heroin. It is exciting to hear that a high quality spice from Afghanistan is going to be found at American kitchens soon. This may provide a different image of Afghanistan and its people, other than war and violence, something that people have been used to hear. One of the intriguing things about this product is the name of the company that carries the spice. It is called "Rumi Spice." Rumi is becoming a household name in the West and especially in the United States. Whoever came up with this name is praiseworthy. In terms of quality, the Afghanistan's Saffron is considered the best in the world, according to the International Taste and Quality Institute in Brussels and it has been rated the best for three consecutive years. I hope the veterans' efforts bear fruit. It will definitely impact the lives of the Afghan farmers, specially the women who are mainly employed for harvesting the spice. There is an uproar on social media, particularly on Twitter over a video about showing how Muslims are the coolest creatures. The video was published here. Muslims activists and non-activists called out for lack of racial diversity. I, on the other hand (not as a Muslim), looked at it from a different angle and that is the issue of Muslim identity. Why sometimes people take what a short video or article shows or says at face value is beyond understanding, albeit, this could be a way of struggle for recognition of certain groups of Muslims. Despite diverse backgrounds, Muslims, by outward appearance, try to be identified as Muslims in the West. However, coming from a particular region or belonging to a particular culture is neither necessarily representing a religious identity nor amounts to religiosity of a particular. A video like this one does not show the real Muslims at all, it rather shows how some Muslims (from various backgrounds) have not been able to assimilate and integrate with the indigenous people and and to accept their culture in the West due to their Islamic dogma. It also shows how Muslims are willing to be segregated, find their collective and like-minded people, clinging to their ancestors' beliefs and disregard modern values. It is impossible to overstate how incongruous the video is. In fact, in the eye of Wahhabis in Saudi Arabia, these people could be heretics and conceivably from some other Muslims' view point in the Middle East, these people do not deserve to be called Muslims at all. Creating a video to show how cool Muslims look like when men and women mingle with each other is of course great and cool, but it contradicts with the nature of Islam, which is against equality between men and women. The video clip is an indication of struggle for identity, for some; an identity that is based on dogma which is truly contradictory with modern values. A couple of days ago I had to change metro line from green to red at Fort Totten metro station. I went to upper level and looked at the schedule on the screen, which said the next train comes in 9 minutes. I stood and rested my back on the column by the a long bench where a young couple was sitting. They spoke Spanish and had a son (who could have been 7 or 8 years old) who was playing game on his father's cell phone. A moment later with hands holding his crotch, the little boy asked his mom to take him to the restroom. She was glued to her cell phone. At first she ignored, then the boy kept yelling at her mom. She said something that the boy turned to his father. His father told him in English: "Pee!," pointing to the ground "Here! Pee here!" The little boy turned around and looked at me and turned his back as shyness manifested in his face. I was observing this with a great surprise as the father kept yelling at his young son to pee at the station platform while the mom was holding her cell phone close to her face swiping up and down on the screen. I was the spectator. I was watching something that was unpleasant, impulsive and irresponsible that was caused to unfold by the careless parents. It gave me a feeling of a complete abhorrence. I couldn't resist to be the spectator and I couldn't resist the temptation of not saying something to the parents. As the father kept yelling at his son to pee on the platform, I finally decided to interrupt him. I said: "Excuse, if you let your son pee on the platform, I am going to call the police." I said it seriously and loud. Then, I looked at the train schedule which we still had another 7 minutes. I asked the parents to take their son to lower level and ask the conductor to let their son use the restroom. The parents spoked gruffly as seem to be infuriated. Both parents, as I could see astonishment and anger in their face, looked me. Then the mom pulled out a bottle of water from her purse, emptied the water on the platform and asked her son to pull down his pants. She then shoved it to her son's crotch and asked him to pee. I thought, well, maybe that's an alternative if you are lazy to take your son to the restroom. But much to my dismay, the situation became uglier. The mom got off the bench while holding the bottle filled with her son's urine and went to the edge of the train platform and emptied the bottle on the train track. At worst, she threw the bottle on the track. I was left speechless as I was watching the head-spinning deportment of the crude parents. A moment later, the train arrived and I got on the train and left the station. I was very much liked to see a small nation underdog team is going to collect the trophy of FIFA World Cup in 2018, but as sheer bad luck Mario Mandzuki own goal put France ahead of Croatia and that underpinned an ominous augury of loss. I followed the match live on my mobile phone but I couldn't watch the game live. I watched it later at night when I came from work. The Croatian players had possession of the ball for much of the game but it doesn't actually matter since we have seen the game between Russia and Spain. The Spanish players have dominated the game and played almost 80% of the ball at Russian's field, but just maintaining the ball is not enough. Spain passed the ball 1,100 times, while Russian barely completed 300 passes and it was Spain, finally, at penalty that was knocked out. I am not an expert but I read opinions and statistics about Croatian previous matches. One thing that caught my attention was that a winning team must be ambitious to win by scoring not dragging to extra time and finally penalty, which was exactly what happened at the game between Russia and Croatia. Having that in mind and then their game with England at extra time, I was not very optimistic, but I did not lose the hope for Croatia to win this year’s World Cup. Anyway, there is a lot to remember about this year’s FIFA World Cup. We might forget that France won the World Cup and it may not matter at all, but we will definitely remember some upsetting and exciting moments. We remember the painful knockout of the defending champion Germany by Mexico, we will remember Russia's stunning victory over Spain and we defintely will remember the remarkable rise of small-nation teams like Iceland and Croatia. Other moments to remember is that Japan lost a winning game while 2-0 leading with less than 25 minutes but Belgium's counterattack snatched the win at last with stunning play 3-2 against Japan. Of course the world will remember the moment when Messi missed a decisive penalty for Argentina that would bring victory against Iceland. Of course the world and the soccer lovers will remember the Cristiano Ronaldo's hat trick that did not only earned Portugal a thrilling draw against Spain, but also made history. Finally, we all remember that the Video Assistant Referee (VAR) that was used for the first time in the World Cup. Though the VAR is impressive to be used in the any soccer match, it has one serious problem: There is one person in the field to make the final decision and that's one-field referee. Toward the end of our tour when I asked her and her mom what they are in town for, she said she is here for the beauty pageant's event. It was then that I realized what an important guest I have on board and toured. She was so humble and when I asked her to take a photo with me, she delightfully conceded. Her mom took out her white sash from her purse, which the words "Miss Iowa" were embroidered on. Then she draped on her right shoulder to pose for a photo. It was so humbling moment to meet her; alas, I forgot to ask her name. If I were the judge and if I were to appraise her personality, I would give her 100. She absolutely deserves to be the winner of the beauty pageants. Go Miss Iowa! This afternoon, I was on my way back from the Folklife Festival at the Mall in downtown Washington DC, as I was about to cross the 12th street and Pennsylvania Ave I was flagged down by an old lady named Mary. I got off my bike and went close to her to hear what she was trying to say. She asked me where the National Portrait Gallery is. I gave her the address but our short exchange struck up an interesting conversation in which lasted a couple of minitues. I asked her where did she come from and has she ever been to DC before. She told me that she was in DC to join the protest against Trump's policy on children's separation from their parents at the borders tomorrow on June 30. I asked her a few more questions on what exactly she thought of immigration and especially child separation and eventually what would she think of illegal immigration and as a protester what she would ask Trump to do. She did not have much to say but her final words were "I am here to protest against Trump," "He is not my president and I don't like him." I asked her whether she reads the newspapers, she said, she doesn't trust the newspaper any longer. Mary has travelled from Denver Colorado at the behest of her daughter who is an attorney in Washington DC. She told me that her daughter called her to come to DC and join her for a protest tomorrow. As we separated, I started thinking about the expenses of her flight that could be spent on children's shelters and children's education, perhaps, to those children who are now separated from their families at the border. And of course I thought of Mary's lack of recognition and understanding why she was going to protest besides frustration and anger which is now becoming inherent in liberals. It is this anger, frustration, and ignorance that now play a big role in creating a big rift between right and left. The result of this gap is the rise of populism on both sides, which eventually could be a backlash to democracy and liberal values.